For use on graders and articulated dump trucks. The RL31 is designed for use by articulated dump trucks. 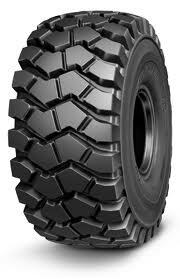 The rock flush pattern and shoulder protector provide excellent cut resistance (Tread & Sidewall).